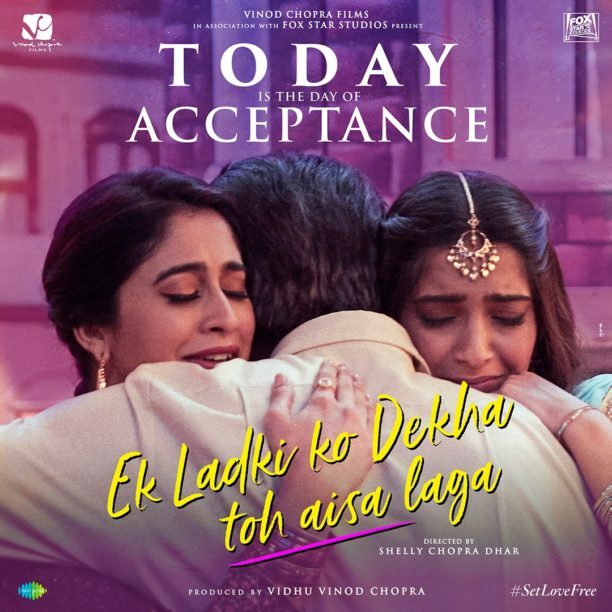 For her first film, director Shelly Chopra Dhar brought something incredible to the world of Hindi cinema with Ek Ladki Ko Dekha Toh Aisa Laga. 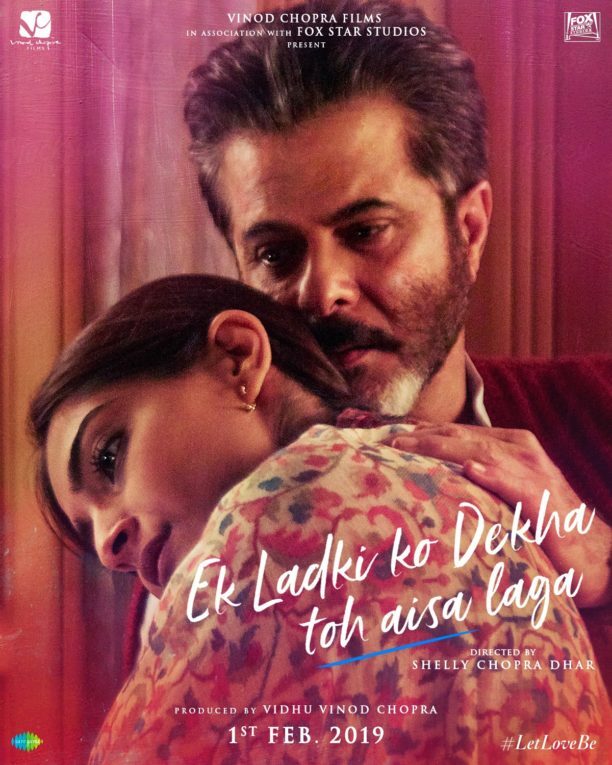 Starring Mr. Anil Kapoor, Sonam Kapoor, Juhi Chawla and Rajkummar Rao, Ek Ladki Ko Dekha Toh Aisa Laga is a love story, but an unexpected one. The film released on February 1st to rave reviews and even more there was boundless praise for the story that Ek Ladki Ko Dekha Toh Aisa Laga tells. We had the wonderful chance to talk with director Shelly Chopra Dhar about the film right before the release. 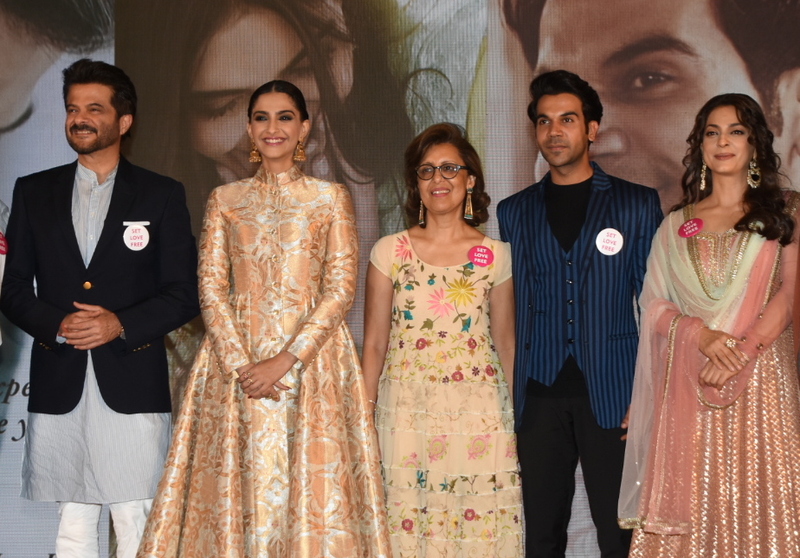 She spoke with passion about her film, the story she presents and the change and conversations she hopes begin when audiences leave the cinema after watching Ek Ladki Ko Dekha Toh Aisa Laga. My background is that of computers. After my Bachelors, I did my Masters in Canada actually and then I was working in the US for many years. I was a system’s analyst and then I ended up running a technology company in the school district for about 15 years. I ended up taking a long break taking care of the house and the children. Once they went to middle school, I was able to do more, and I am one of those people who never stop learning. Never grow up…if there is any such thing (smile). I always want to learn. I get bored very easily. I need to continuously explore different elements. I thought at that time, all right back to school. And, computers, if you have left it for about 10 years in the industry, it would be literally going back to the beginning educating myself. So, I thought, all right, if I have to do that I may as well start with film. So, I went to film school actually. I was probably the oldest student in my class. I had fun. People would ask me does it bother you that you are the oldest in the class? No, it doesn’t bother me, if it bothers you then that is your problem. You deal with it. I am having a good time. (Laughs) So, I actually did it properly and I went to film school. This is about 10 years ago. Then I got into assisting and learning on the job. Then writing many scripts until I came up with this one. Why this story, why this film as your first film? (Laughs) You know, if I have to direct and if I have to get into films there has to be a reason why I want to do that. Just entertainment alone is not good enough. For me, it is such a strong medium, cinema. Especially in India, it is one of the biggest socializing agents at this time. Our culture in India is steeped in folklore and storytelling. People have, through generations, learned through example. That is what our tradition is. Even our scripture is like that. Nobody in the world wants to be preached at. Nobody wants to be told what is right or wrong. You almost have to let the people experience it. So, I figured if I am going to have the privilege of using this media for telling a story than it better be a story worth telling. This is a very important subject in the world. Households are grappling with these issues. They don’t know how to deal with it. Especially in India. People don’t know how to deal with it because we grow up believing homosexuality is wrong. We grow up believing that there is something drastically abnormal about you. Those are paradigms that we can never get rid of. We just live with those, we pass it on to the next generation and they pass it on and so on and on and on and on! Until, we have to, at some point in time, begin hacking away at these walls that we have built, these boxes that we have built. I wanted to make an attempt. You might not know when it is going to be full, but it might just be a drop in that bucket. It might be more than one drop in that bucket. I don’t know that, but at the end of the day, really, it is the drops that fill it up. So, we all have to do that. What was the first reaction when you said you wanted to make this film? I am very fortunate that the production house and the producer that is producing my film have always done radical films. They produce films that they believe in. I am fortunate that when I narrated this subject and this story that it was very much liked. They said yes and they actually gave the green signal, to their credit, even before article 377 was dissolved last year. We are releasing in 2019, I completed the script and started casting in the beginning of 2017. The end of 2017 to 2018 is when we shot the film. It was a 2-year active journey. They decided to green light it then. We are fortunate that the 377 is gone out of our lives as of last year, which has made it easier. I am grateful and I am happy for the producers that that has happened. That means we are not illegal anymore, you see? What to you is the essence of the story of Ek Ladki Ko Dekha Toh Aisa Laga? The important thing about this film is that it is story about a family more than it is about the relationship. It is the story of a family accepting a gay child. It is story of how the community, society, siblings, parents deal with this. At the same time, of course, it includes how the person themself, how Sonam herself, has gone through it. It is not only her journey, her life. If that’s all it was it would be a different script all together, but this also is the story of her father, of her grandmother, of her brother, of Juhi, of Rajkummar Rao, of the community. It is the stories of many people, which are all a part of this film. It is also a film I think you will be entertained by because entertainment is the golden rule of cinema. If I cannot entertain you than I have not done my job right. The cast is really incredible, how was it to work with all them within this world and creating this story? Actually, it was very good. See, what happens when you work with a team that also believes in the project as much as you and do, and they are also equally as passionate about the project like you are, it makes it easier when we are all always on the same page. All of us were working towards making the film the best that we could, including them. That was great! Because they believed in it, they believed in me and they trusted in me, my producer trusted me. They loved the script. It was a blessing. What surprised you as a director? What surprised me as a director is that I realized that even more than being the creative head of the project, you literally have to people manage and this was a bigger task for me than the creative management of the film. I realized that actually managing the crew and then entire team was a task. It was important to keep everybody together because it is very easy for them to stray off. It was very easy for people to take it different directions because every department is very strong headed, and you really have to control it. At the end of the day all the departments have to work together because when you look at a frame and you look at the film, I could write the best script, but if the actors don’t bring that character out then it is finished. If they are not looking like the character, it’s finished. If they have extra make-up, even one little bit anywhere, it is no good. If the location is not right, if the sound is not right, if there is a stupid piece of prop that does fit there… it does not work. I have been a viewer most of my life, and it is very important for me, as a viewer myself, that nothing takes me out of the film. So, when I see a film, if I get off track, let’s say that there is something that puts you off. Anything. The minute you are put off it takes you at least 10 minutes to get back on because for the next 5 minutes you are cursing what you have just seen and while you are cursing you have already missed 5 minutes of it. Then it is even harder to get back on because now you don’t even know what the story was or what the previous dialogue was, so you are in worse shape than what you were 5 minutes ago. (Laughs) It is very important to keep audiences on track. What do you hope this film will do and what audiences will take away with them? I hope it changes people’s minds. I hope it allows people to think about it. I hope it changes their perspective, and if doesn’t change their perspective at least it plants a seed in their mind that will eventually change their perspective. If they just stop and think about it, if it creates a conversation. If it makes them ask somebody. Even if they talk about it in a negative fashion, even if they put it down, they will talk about it. That’s important. Conversation about this is important! No matter which way it goes. 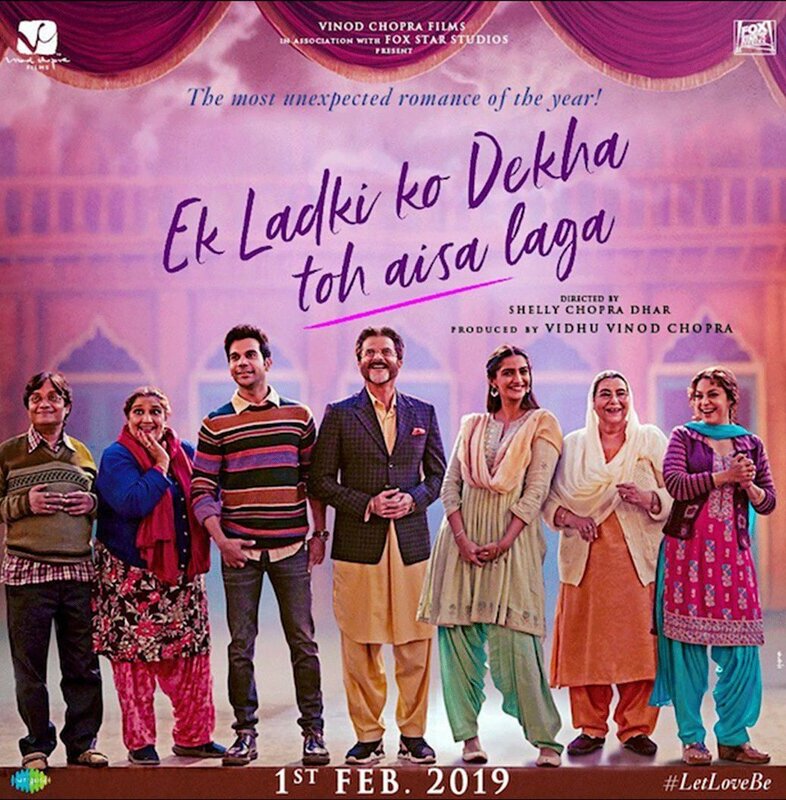 Ek Ladki Ko Dekha Toh Aisa Laga is a film that must be seen so go watch it now – We cannot highly recommend it enough! 15 queries in 0.547 seconds.